Trends change quickly online. At least most of them do. Some elements of the Web, however, become so familiar that we almost don’t even notice them after a while. For most people, hyperlinks fall into that category. Google, which got its start in 1996, stuck with the underlined blue text look for almost two decades, which may as well be two centuries in Internet years. The look held until March 2014, when Google announced a big change in the appearance of search results – no more underlined links, though the blue text remains. Did you notice? It’s a small change in the grand scheme of web design, but it speaks to the need to format links so they stand out without crowding the page. Links are an important element of inbound marketing, and part of doing business in the digital world. Let’s take a closer look at the current trends in link formatting, and how you can make sure your links work effectively for your Calgary business. In addition to removing the underline, Google changed a few other things about the links in its search results. Link text has been made slightly larger, and non-link text has been made uniform in size. So basically, link formatting has moved to a more minimalist design. Most would agree that it’s a pleasant look, aesthetically speaking. The challenge comes in adopting the minimalist look while still ensuring that your links stand out enough to be noticed by the reader. The user experience experts at Nielsen-Norman Group suggest using color to make your links stand out, if you aren’t going to underline. Contrast is key. The color you choose for links needs to contrast well with the rest of your text, and the background of the page. Blue is still the go-to color for links on many sites, but any color will do. The important thing is to be consistent, so that your readers know that linked text will always be formatted in your chosen color. Remember that you don’t have to stop underlining links, just because Google did. Every page of Google results is filled with links, and underlining crowded each page unnecessarily. If you link sparingly in your content, you can still get away with underlining. Linking effectively is about more than just improving appearance. It improves the user experience, and linking well also benefits your SEO efforts. 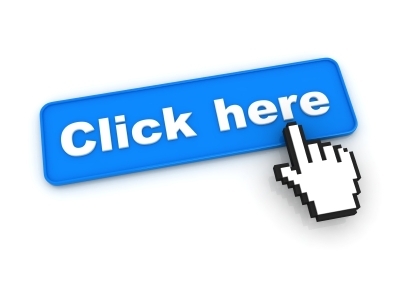 Make your links more accessible, and they are more likely to be clicked by your site visitors. Linked text should be descriptive, but brief. Avoid turning whole sentences or paragraphs into links. Instead, single out a good phrase for linking in a sentence that tells the reader more about the linked topic. Just be careful not to make your links too short. It’s hard to be descriptive in one or two words, and short links run the risk of being missed entirely by your readers. Avoid using actual URLs for link text. While some users will be able to understand where the link leads by looking at the URL, most will see an unreadable block of text and move on. Always provide context when linking. If the linked phrase isn’t descriptive enough, use the rest of the surrounding sentence to take up the slack. When using images as links, be sure to include descriptive alternate text. Alt text gives users more information about where the link will take them. You can also add various web design elements to improve the performance of links for your Calgary business. Many sites are now set up so that when you hover over a link, added information about the link pops up automatically. It’s a great way to provide extra information without crowding the page. While link formatting has changed over the years, the basic concepts still hold. You want you links to be descriptive, accurate, and easy for readers to spot. When a reader clicks one of your links, they’re trusting that you will lead them somewhere safe and valuable. Repay that trust by providing useful links in a format that’s easy for your readers to understand. Linking is just one part of the digital marketing whole. At Emphasize Design, our marketing and web design experts stand ready to identify the online marketing tools you need, and put them to work for your Calgary business.